SAT School Day lets schools, districts, and states offer the SAT to juniors and seniors in school, on a weekday, expanding access to a globally recognized college admission test that's accepted at all U.S. colleges. 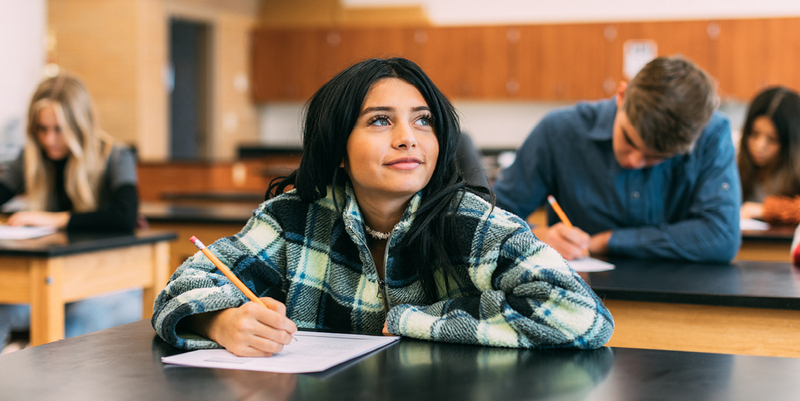 From flexible ordering options and pricing, to implementation tactics and tools, the College Board makes it easy for your school or district to administer SAT School Day. When students have the opportunity to take the SAT at their own school, they’re more likely to take the test and gain access to higher education. 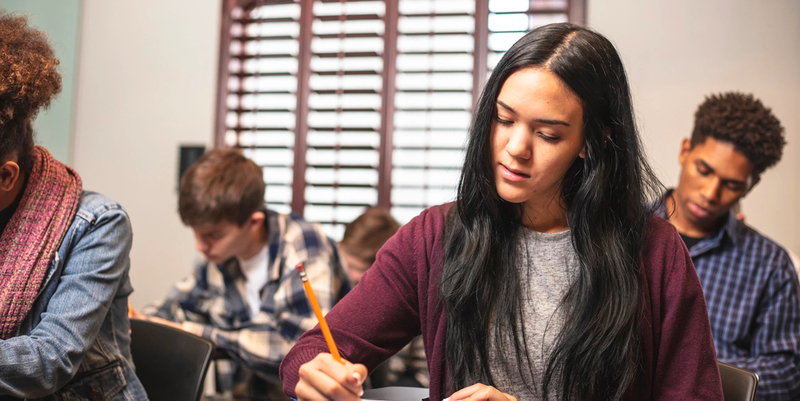 SAT School Day allows students to test in the familiar surroundings of their own school, and eliminates barriers associated with transportation and weekend conflicts. SAT School Day offers students access to free, personalized study plans on Khan Academy® to help them focus on the skills they need to work on most. *Until 2018, SAT School Day was not available in some locations. Questions about SAT School Day?